How intelligent a listener are you? Take the test! 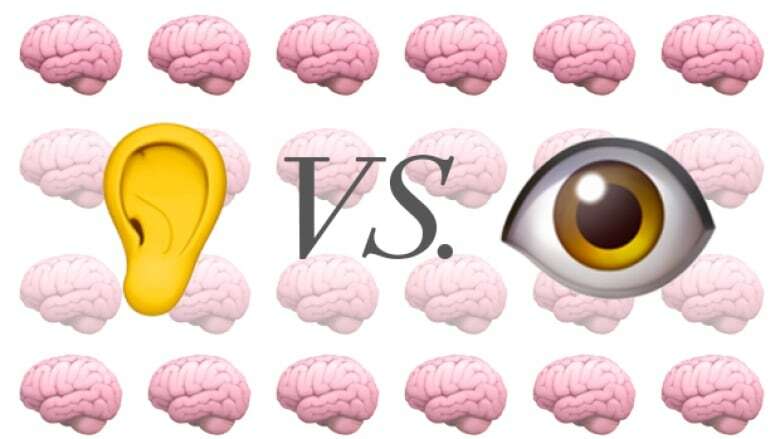 How well we remember information can depend on whether we absorb it through our ears or eyes. Test your auditory acumen! Which do you remember better: sounds or images? When I heard this documentary for The Doc Project, about two friends, Mark Trenwith and Pasha Malla, who had trouble remembering the details of each other's stories many years later, I started thinking about how well I'd remember a story I'd heard 19 years ago. I mean, I can barely remember stories I heard a few months ago! Ask me about what I did last summer and I'll see a series of pictures in my mind—a sailboat on a lake, the faces of friends on a patio— but I can't recall much at all about what people said or the sounds I heard. Turns out, I'm not alone. Scientists who study how memory works have found that the human brain just isn't great at remembering sounds. James Bigelow is a neuroscientist at the University of California. In 2014, he co-authored a paper which compared the mind's ability to remember sounds, images and touch. Read Bigelow's study, "Achilles' Ear? Inferior Human Short-Term and Recognition Memory in the Auditory Modality"
He asked undergrad students to remember two sounds, and then the space between the sounds grew from one second to thirty-two. He conducted similar experiments testing sight and touch memory. As the length of time grew between the sets of stimuli, the accuracy rate for remembering the sound dropped to 62 per cent, while the ability to remember images and touch stayed at 78 and 79 per cent respectively. Acey and I made a mini-version of the audio test that you can try below. Put on your headphones or turn on your computer speakers. When you press play, you're going to hear a series of sounds. Listen carefully! After a short break, Acey will play you another series of sounds and you'll have to try to remember which ones are repeated from the first series. Once you've listened to the audio, take the short quiz to test your memory. How many can you remember? 1:46 Now, try this similar test below that includes only images, with no sound. Watch the whole video, and then take the quiz to compare your scores with the audio test. Why is it harder to remember sounds? Bigelow thinks the brain's struggle to remember sound is rooted in our evolution. Primates developed an advanced sense of sight. "The primate brain is…a very visually specialized system," Bigelow says. Bigelow believes primates rely on visual information more than other species for recognizing individuals and keeping track of members in a group. Conversely, this isn't the case with species that rely on their sense of hearing. Animals who rely on hearing for survival prefer to use their ears for memory too. 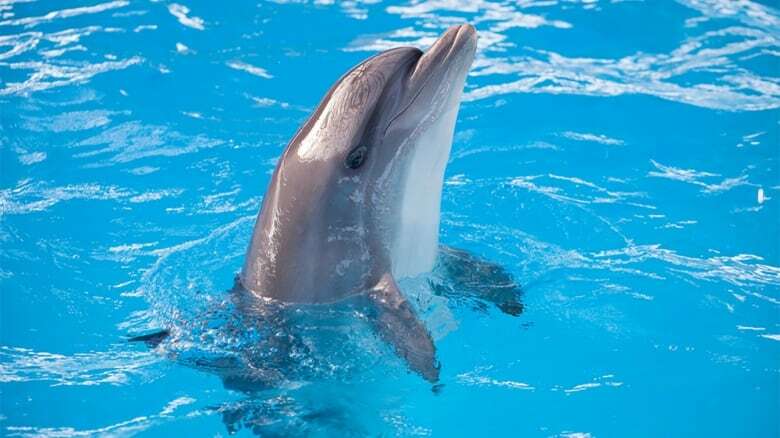 "If you take dolphins as an example, it's very easy to train them to perform auditory task, but it's much more difficult to get them to learn visual memory tasks." Bigelow says we shouldn't underestimate our mind's ability to remember sound, but it's a "secondary type of information." As to why Mark Trenwith and Pasha Malla's stories had changed over time, Bigelow says it is because memory is "constructive." Our brain will absorb bits of information, and then "we'll fill in facts that were never there," Bigelow says. He points to a memory experiment in which a person might be asked to remember a list of ten words about sewing, but a keyword like"'needle' is conspicuously left out. If you let some time pass and then ask them to list the words about sewing, Bigelow says the majority will remember hearing the word needle and their confidence in that memory might be as high as 90 per cent. Bigelow says just as we have memories, we also have the "illusions of memory," where our brains confidently fill in details of events that never occurred. "There are actually many many ways in which memory can go wrong," says Bigelow. That said, our story re-telling experiment with Pasha and Mark is a pretty amazing example of just how haywire our auditory memories can get. Check it out here. How much RAM and hard drive space does a human brain have?